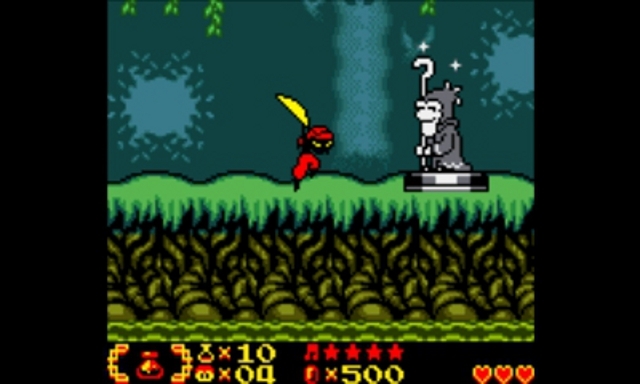 You’ll be presented with a prompt to enter either the normal game or the debug mode. Go into debug. Then select a file. You’re not out of the woods just yet. You’ll see a bunch of numbers. Pick any of them and the game will start. Start dancing and do the Tinkerbat dance, which is down, up, up. And bam, you’re now a Tinkerbat! So what’s the big deal about being a Tinkerbat in this version of the game? Well in the original Game Boy Color game, if you inserted the cart into a Game Boy Advance, you can enter parlor that’ll teach you the Tinkerbat dance. 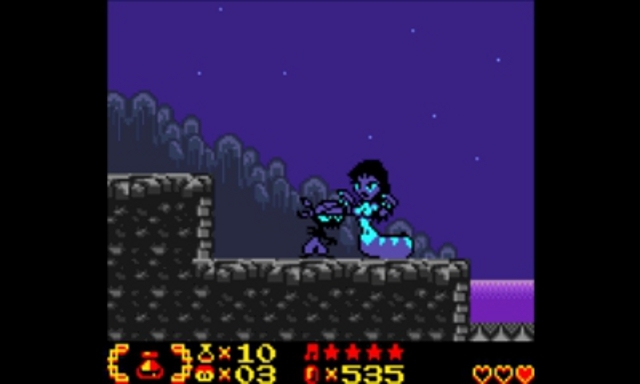 Of course Shantae was a rare GBC game from the get-go, and the most common way most of us can play it is on the 3DS Virtual Console. Sadly this version of the game is not GBA enabled. So this is the only way to play as a Tinkerbat since debug mode unlocks everything. 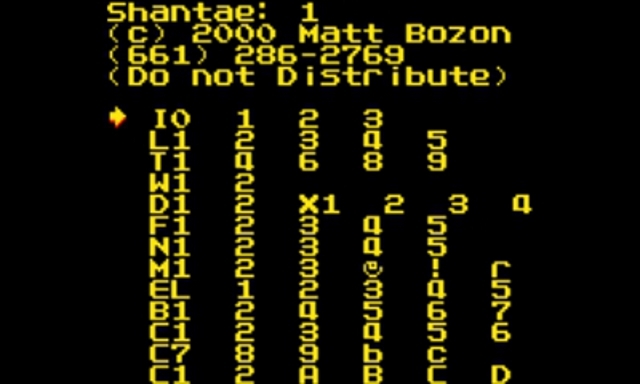 But do remember that this is the debug mode, so some weird stuff is bound to happen. So set a Restore Point in a good spot before doing debug so that your original status is safe. Have fun playing as a Tinkerbat! Thanks again to Gary for the heads up.